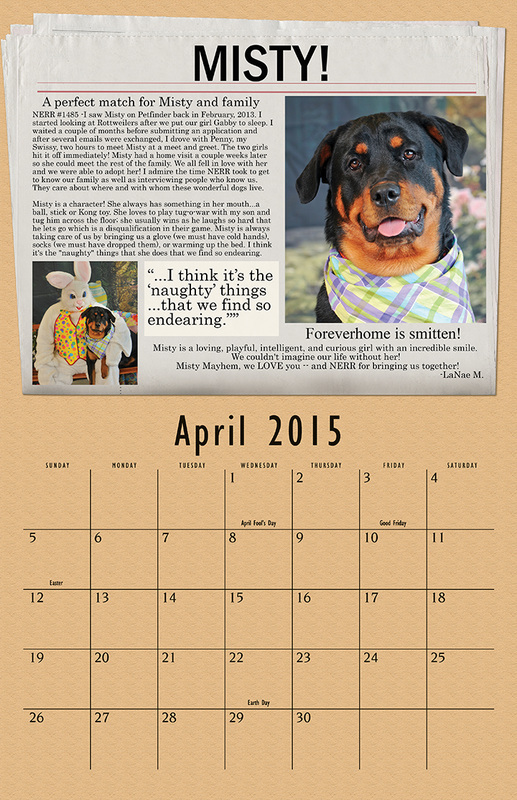 Help rescue by hanging an attractive full-color calendar of rescued Rotties on your wall! The dimensions of the calendars are 11" wide by 17" tall when open. Calendars are $15.00 each, or two for $25.00, including shipping and handling! You may purchase via PayPal or send a check or money order. Please click here for a mail order form. 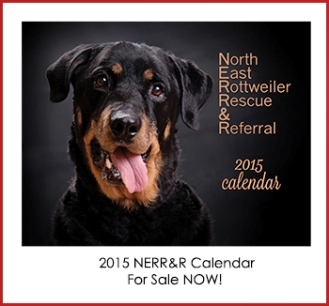 Each month showcases an NERR&R dog's photo and story. In addition, each page is beautifully colored with coordinating monthly section. Each month contains all of the major holidays. Calendars are $15.00 each, or two for $25.00, including shipping and handling. You may purchase via PayPal or send a check or money order. Please click here for a mail order form.